Tonight we had lamb from yesterday. The way we managed to still have rosy pink but warm lamb was to sous vide it at 125F for around an hour. It was still juicy and tender. I made some couscous and mixed it with some leftover asparagus and other sautéed vegetables. It was an easy, thrifty dinner with very little mess. 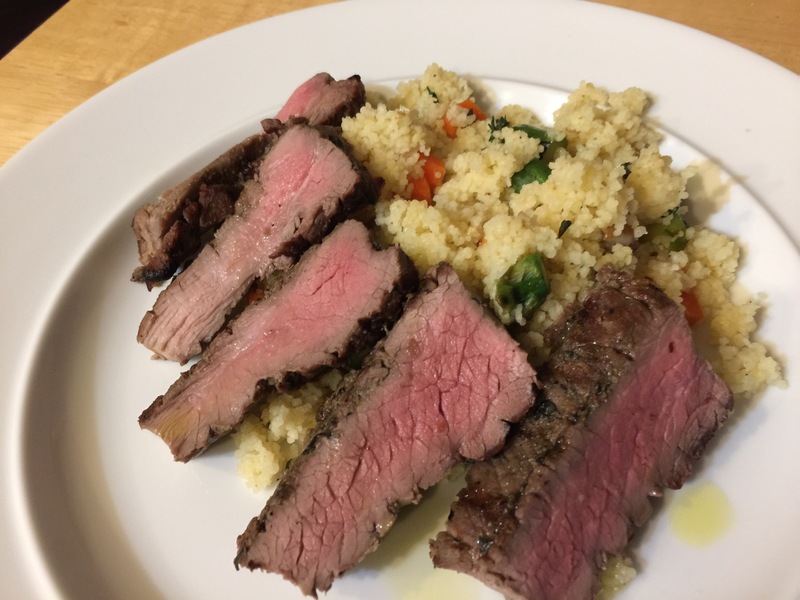 This entry was posted in Uncategorized and tagged boneless leg of lamb, couscous, Lamb, lamb chop. Bookmark the permalink.